Google never ceases to confuse me. Once only a search engine giant, Google has spread itself out into almost every aspect of technology. Their most recent push into hardware has been with their consumer Pixel phones, but even before that there was the Chromebook and Chromecast devices. 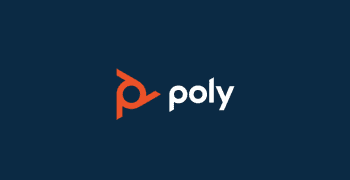 More recently, and importantly to us, Google has been looking to revisit their work and collaboration suite of solutions. Ranging from Voice to Drive, Google has revamped the former along with a number of other existing solutions to keep up in the modern race. 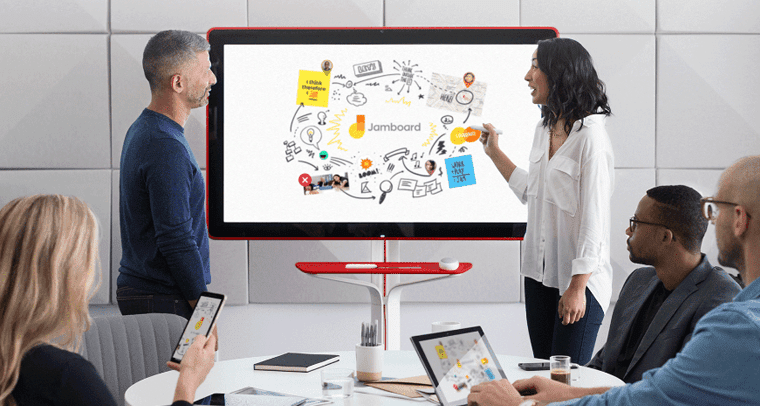 What’s even more interesting to us is Google finally opening their mouths about the Google Jamboard. 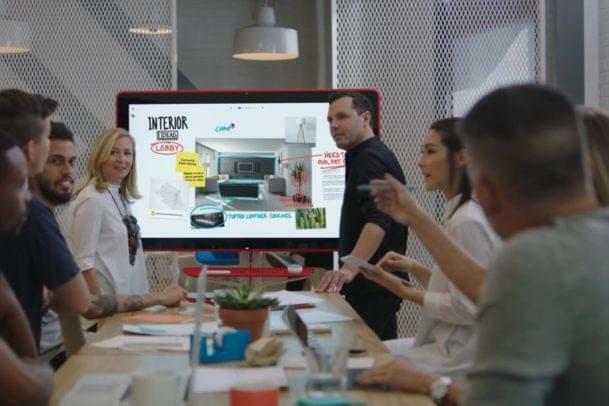 Originally revealed back in October of last year, the Jamboard is Google’s take on the modern meeting room tool. Just a few days ago, Google shared just how the Jamboard works and what it’s all about, so we wanted to dive right in. Instead of looking at the Jamboard alone, though, we wanted to compare it to what we felt would be one of its closest rivals: the Cisco Spark Board. Google revealed their Jamboard back in October of 2016 originally, but they only started to share some real details this month. We found out the price will be closer to $4,999 and the board will be available May of 2017. After watching Google’s brief video introducing the Jamboard, I was surprised to see how similar the concept was to the Spark Board. I’m not saying anyone copied anyone — just that there is a clear similarity. 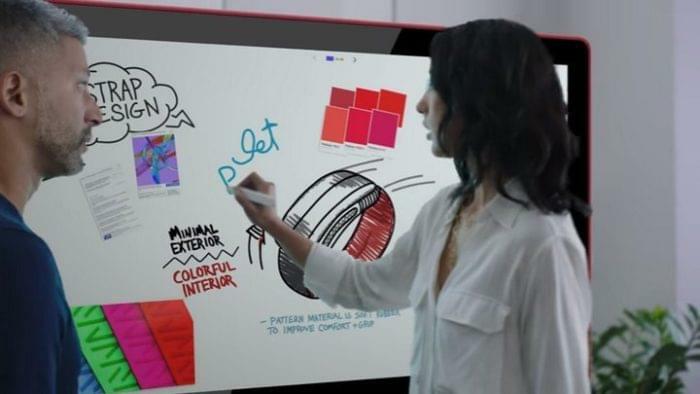 This is an even bigger contrast to the Microsoft Surface Hub, which was Jamboard’s biggest competitor back in October. While the Surface Hub is essentially just a Windows tablet on the wall, though, the Google Jamboard can be summed up as a touchscreen Chromebook on wheels. However, the real reason I want to compare the Spark Board with the Jamboard in particular is because of the software behind it: Microsoft was able to include a full version of Windows 10 on the Surface Hub, but Cisco built their solution around the Spark platform. Similarly, Google built their board around their Office platform. These solutions don’t have a full OS, which you would get on your desktop or laptop. Rather, they have specific solutions — and that’s where these solutions’ real powers lie — in how the board leverages this platform. Google is pushing itself pretty hard into the hardware market here. As I said before, they’ve had the Chromebook and Chromecast for a while now, recently introduced the much-loved Pixel phone, and are now clearly making a push into office hardware with the Jamboard. The overall style and hardware — a 55″ 4k touch screen with a thick bezel and a webcam nestled on top — falls in line with other options on the market. Details aren’t completely available yet, and I’m curious to know the resolution of the camera. While the Spark Board has a 4k screen and 4k camera, video conferencing is limited to 1080p. It would be nice to see someone finally take full advantage of that beautiful display with 4k conferencing. 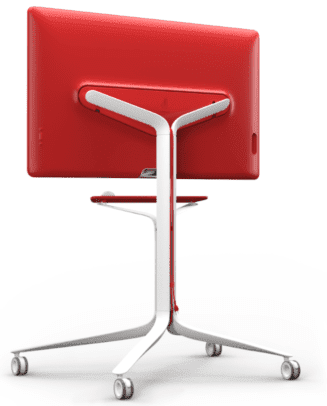 Just as you can with its competitors, you can mount the Jamboard to a wall; however, you can also place it atop a rolling stand to make the entire thing mobile. 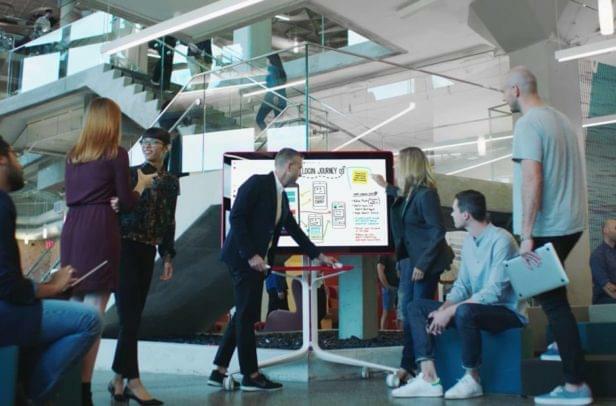 That’s a key distinction to recognize: while the Spark Board will probably always live in the same location, the Jamboard can be wheeled around to meet your team wherever. This is an additional accessory that must be purchased separately, however. Being a pressure-activated touch display, the Jamboard is capable of 16 simultaneous touch points (for comparison, the Spark Board can read 100). Users can interact with the board using the included styli and microfiber eraser, any rubber tipped stylus, or their hand — which they can use to erase. Thanks to the built-in Chromecast support included in the package, your Jamboard can also mirror another device’s screen or stream content from the internet. The Jamboard also comes with NFC compatibility for easy pairing. When compared to its competitors, the hardware is pretty standard: a big 4k touch screen with multi-touch control, and a webcam on top. The real kicker, though, is the software that powers the whole thing. Just like the Spark Board, Google went ahead and came up with their own operating system solution. 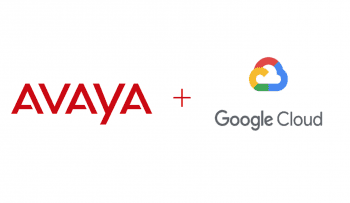 While the Spark Board runs on a dedicated version of the Cisco Spark platform, Google went about it a little differently. The Jamboard uses a highly customized version of Android that was optimized and developed for a digital whiteboard experience. Users can start a “Jam Session” to open up the whiteboard space and begin working (I refuse to call it “jamming,” Google). 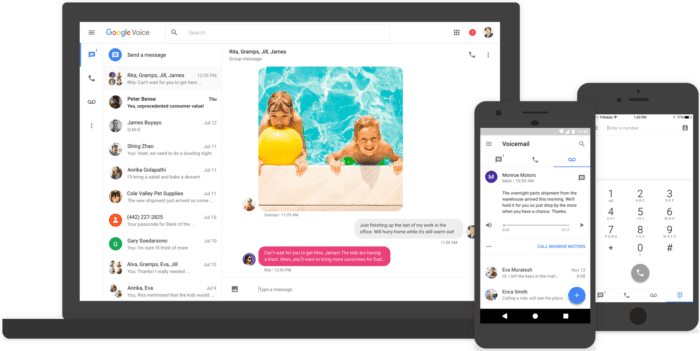 Since it’s based on Google’s cloud, everything is automatically saved into a Google Drive folder and users can host their own video conferences using Hangouts. The Jamboard also includes a mini web browser, and images can even be imported into your Jam session. The board itself is controlled by a panel that sits either on the left or right side of the screen. From here, users can add new Google Docs files, search websites, take a photo with the camera, change the various drawing options, or add in digital sticky-notes. 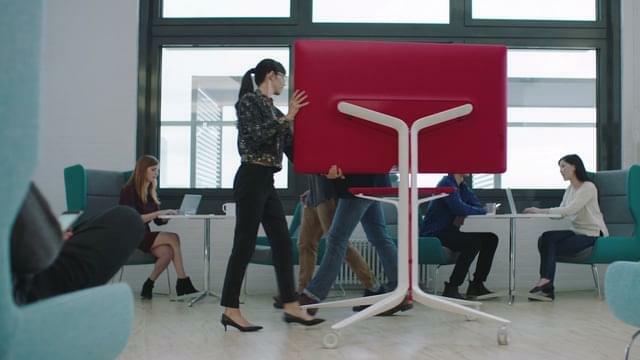 Of course the major focus of the Jamboard is collaboration, so Google made sure collaborators could connect over multiple locations using different devices. Users on iOS or an Android phone can download a Jamboard app to draw and write whilst in a Jam session. Users on their laptops or desktops can jump in and watch, but unfortunately Google said there isn’t any desktop support for the white boarding and note taking. Hangouts participants from any device can join in on video calls, too. The Jamboard generates its own unique short code so anyone can jump right in with ease. The most interesting components of the software are the intelligent functions that Google included. For example, the Jamboard can actually differentiate between fingers and touch pens. If it senses a finger, it switches to an eraser function automatically. Google also went ahead and included handwriting recognition, so the Jamboard can convert your handwritten notes into searchable text, or your squiggly lines into straight lines. Those who aren’t already using Spark may not adopt the Spark Board, but at least it’s relatively cheap (albeit accompanied by a monthly service fee). The Microsoft Surface Hub is a full-fledged computer on the wall, but at a much higher price point than competitors. At $4,999 for a 55″ display, the Jamboard sits much closer to the Spark Board in terms of barriers to entry. But the Jamboard also requires a yearly fee of $600 for the Cloud service. If no one on your team is using Google work apps, though, will your team truly benefit from the Jamboard? Thankfully, Google apps are very flexible and universal, so they can generally fit into almost any workplace with ease. For example, using Drive is a common way to share files for free. Switching over to a new solution is a big pain point for many larger teams, though, and just not worth it for what can be summed up as a fancy whiteboard. At least the price is attractive — even when compared to the Spark Board. Along with the recent announcement of the Jamboard, Google also presented a couple of changes to their office apps that help leverage the Jamboard as a work tool. Google changed Hangouts to work as their own business-focused chat app; announced Hangouts Meet for video conferencing; and announced Hangouts Chat for threaded conversations with its own internal bot. 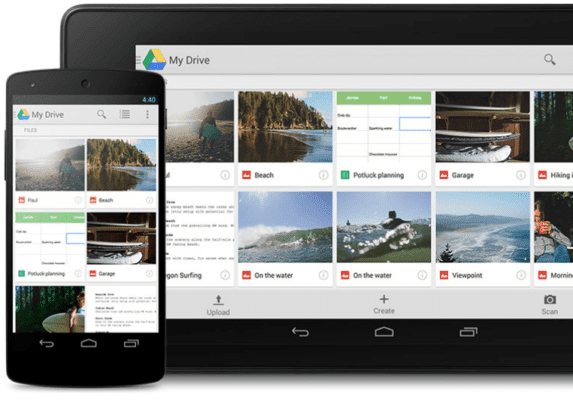 Google Drive also received an update, which optimizes the solution to meet business needs. The first big change is Drive File Stream, which enables users to access their entire Drive without having to waste time file-syncing. 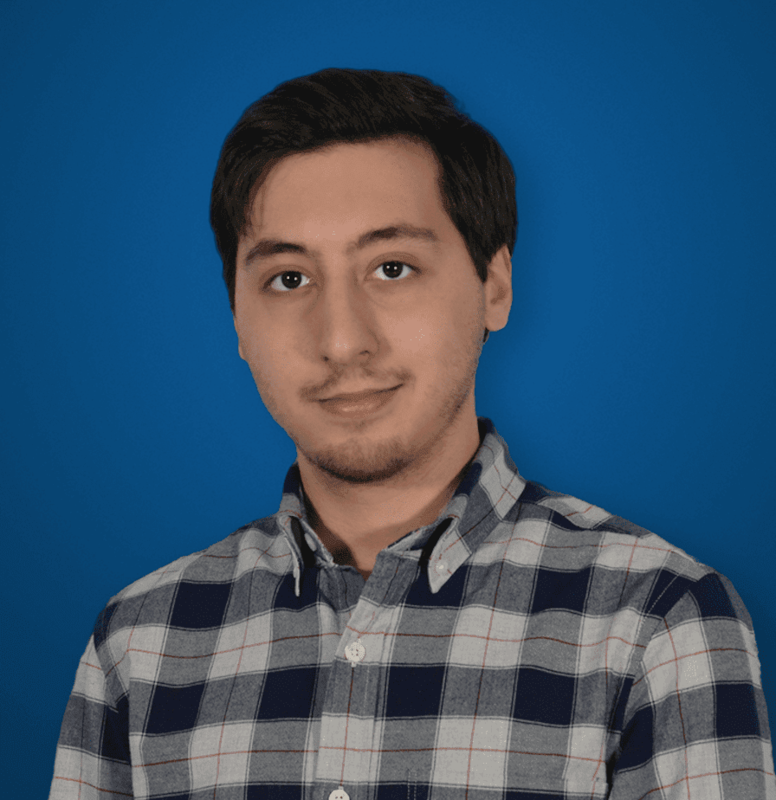 Beyond this “intelligent cache” of data, Team Drives is moving out of beta testing so that users can take advantage of this business-focused adaptation of Drive. Team Drives enables users to share a bulk number of files and manage who has access to the drive to keep everything secure. Without a doubt, it’s clear that Google is at least attempting to make sense of their solutions. Google has always had its hand in a number of different products and offerings, but it was always difficult to understand which app you should use. These updates to Drive alone help coincide with the Jamboard and its persistent Cloud storage right into your secure Team Drive. If you want to delve even deeper into the Spark Board, you can either check out my hands-on review from when I had a chance to play with the Board at Cisco’s launch, or my more recent comparison between the Surface Hub, Spark Board and closest Polycom competitor. When I saw the Spark Board, I thought it was an interesting product and a new take on what media room and collaboration solutions should be. At the time, with only the Surface Hub as a close competitor, the Spark Board made a very strong argument for itself. And it still does. However, the Google Jamboard should at least make you think twice before making that phone call. Just like the Jamboard, the Spark Board is a 4k display currently available in 55″ with a 74″ size coming later down the road. You can easily sum up the board as a tablet on the wall, and the design echoes that heavily — although the Spark Board would be closer to an iPad, of course. When it comes to raw hardware, the Spark Board is equipped with a 4k camera. Although video conferencing can unfortunately only be done in 1080p, at least your pictures will be crisp and clear. The camera is also accompanied by an array of 12 microphones along the top bezel, which allows it to dim out background noise to hone in on the active speaker. 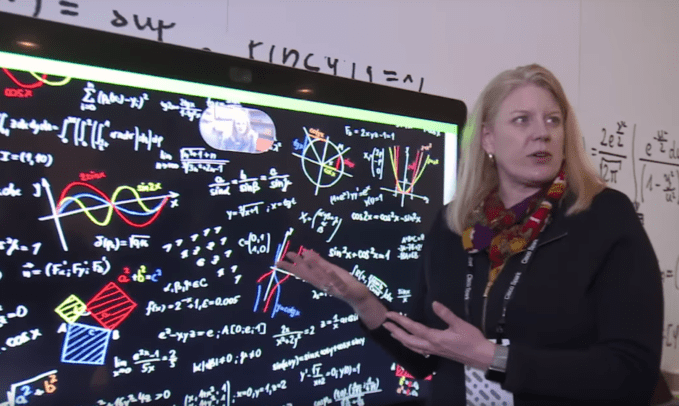 Unlike the Jamboard, Cisco said the Spark Board is also capable of 100 simultaneous touch points, so if multiple hands on the same surface matters to you, there’s a point for the Spark Board. Cisco also includes their own unique stylus just like Google, but Cisco doesn’t limit drawing to a stylus and erasing to your finger. Even without a stylus, users can just their hand to draw freely on the Spark Board. Overall, the entire board is wireless except for one single power outlet, and doesn’t seem to have a mobile option like the Jamboard. But ,like the Jamboard, the real power lies in the software behind the machine. Obviously, the Spark Board is powered by the Spark platform. 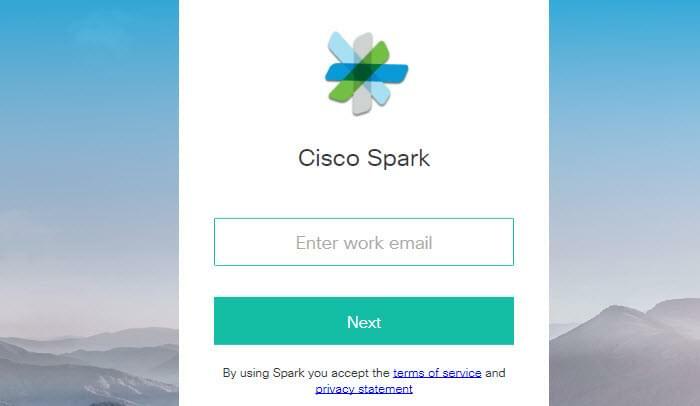 I took an in-depth looks at Cisco Spark in the past that you can check out. While I wasn’t the biggest fan at first, the Spark team was hard at work improving the platform, especially to accommodate the newest member of the family. 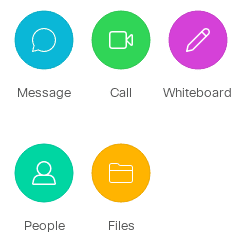 Spark added a new navigation menu with touch screen friendly round buttons – Message, Call, Whiteboard, People and Files. Just like on the Jamboard, users can host a video call while using the whiteboard or sharing files from their cloud directory. Since Spark is a collaboration platform first and foremost, the Message and People functions are carryovers from the entire text-based messaging options. So, instead of creating a new Jam every time you needed to work, Spark lets you jump into your existing conversations to whiteboard or make a video call. You can also start your own dedicated room for a Spark meeting. As a collaboration platform, Spark works really well. The Spark Board is a very nice hardware addition to the already fully capable Spark platform. 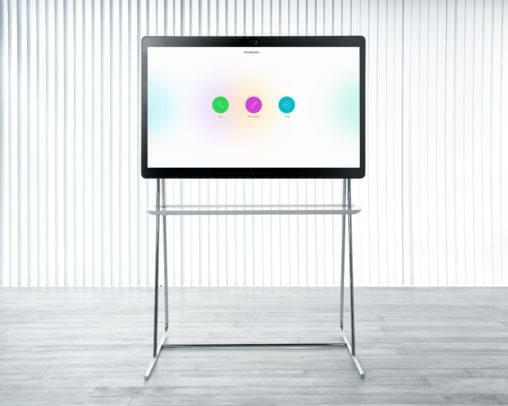 One edge the Spark has over the Jamboard is the ability to let users on any platform, computer, or phone participate in meetings and video calls and utilize the Whiteboard function. The Files function powers the deep collaboration, allowing users to share files, drafts, excel spreadsheets, or even PowerPoint presentations. So while Google users would need to put their materials in the Google solutions first, Spark can work with your existing file types. It’s also kind of cool how the Cisco and Apple partnership has made way for some deep integration. For example, you can start a video call on your iPhone and “swipe it” onto the Spark Board. Spark Board’s biggest barrier to entry is the same as Jamboard’s: it simply comes down to adoption, and that adoption will be driven by your team. If your team is using Spark, then a Spark Board would be the logical way to outfit your next conference or meeting room. But if your team is not already on Spark, switching over could be a nightmare. Spark is a good platform, but then again so is Slack, and so is HipChat. Thus, if your team is already using Slack or one of the many Slack alternatives, they won’t necessarily want to switch to Spark — even if Cisco went out of its way to ensure Spark is as secure as Fort Knox. It’s also worth reiterating the reoccurring fee that comes with the Spark Board. With the Spark Board, users will have to pay a $200 monthly fee to keep their Cloud service alive. Without it, the Spark Board is really just an expensive HDMI display. On the other hand, though Google also has a reoccurring annual fee of $600. Just some food for thought. As I’ve already said, whether you will want a Cisco Spark Board or a Google Jamboard will depend on some clear distinctions. Overall, the products are very similar. Google is clearly flexing its muscle here and showing us how well they can put a solid solution together. The recent additions and revisions to the Google Work apps illustrates the company’s seriousness to succeed in the market, and the Jamboard is a physical realization of that ambition: it’s pretty, it’s portable, and it helps us collaborate. So, without a doubt, the Jamboard is another solid option that’s on the market. Now you need to ask yourself: are these big fancy tablets even worth it? Do You Need a Board For Your Meeting Room? As I wrote before, these solutions represent different approaches to an existing problem. It’s completely possible to piece together a similar solution for the same, if not a lesser cost: buy a big 4k TV, hook it up to your wall with a 4k webcam, buy a nice microphone, and hook it all up to a laptop. 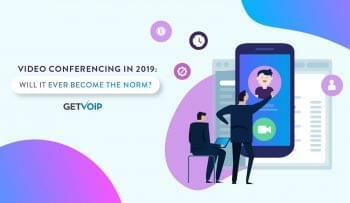 Most businesses can even stop paying for a video conferencing solution — but then you have a mess of cables, hardware that needs to be configured and compatible, and no one is going to want to use it. These boards are the “fun” approach that remains as simple as possible. Innovation isn’t necessarily about coming up with a new ground-breaking idea, but rather executing an idea in a much better way. Whether your team goes with a Cisco Spark board or a Google Jamboard will fall on the key differences I highlighted, but overall these boards would make sense for any team looking to vastly improve their meetings or conference calls.